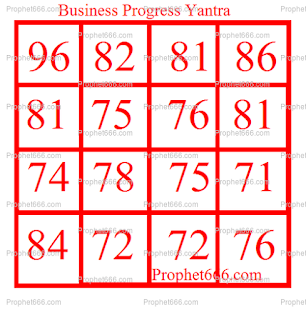 The Yantra described by me in this post is a Yantra, which is called as the Vyapar Me Safalta Pane Ka Aur Dhan Vriddhi Ka Yantra, meaning a Charm to get success in business and to get more money and increase savings. The Yantra is specially for business-persons like shopkeepers, traders and other people engaged in any business, which requires a shop or office. The Yantra should be prepared as shown in the image on two separate pieces of Bhojpatra on the most auspicious occasion of Guru Pushya Amrit Yoga. This specific date is considered to be most auspicious for the start of any kind of beginning, including any religious or astrological ritual. The practitioner should sit on a red colored Aasan [ sitting mat] and wear red colored clothes, including undergarments while making the Yantra. The Yantra should be drawn with a small Aanar Kalam, which is a pointed twig of the pomegranate tree, using the paste of Ashtagandha as the ink. Then, as always, both the Yantras should be worshiped by offerings of incense and a Diya of Pure Ghee. After this, the Mantra- || Om Hreem Namah || - || ॐ ह्रीं नमः || should be chanted throughout the day to attract Laxmi and energize the Yantra. Finally, on the next day, one of the Yantras should be nicely folded and put inside a Metal Locket and the other Yantra should be kept in the Puja Place, Altar or a clean place in the shop, office or business place. 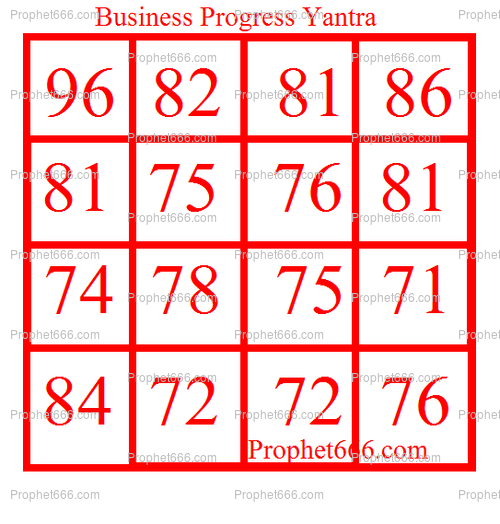 Note- Any business-person, whether successful or not can perform this Yantra-Mantra Remedy to increase their business and money. Could u pls suggest some wish-fulfilling mantras for Ganesh jayanti?A desire or object in mind? You have as mentioned in the post, to chant the Mantra all through the day. What do we do after putting the Yantra inside the locket. Is it necessary to wear it. If one does not to wear it, Then Please advise.